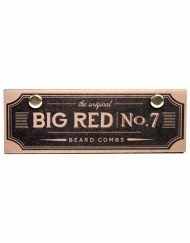 View cart “Big Red No.5 – Beards Til Death Anchor – Special Edition Makore” has been added to your cart. The No.9 has become one of our best selling models, but is generally aimed at medium-longer beards with it's wide tooth pattern. 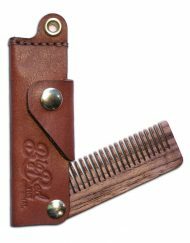 Well no longer, the No.9 is now offered in a fine tooth pattern to cater to all the beardsmen who keep the beard short & tidy. Welcome to Club No.9 Gentlemen. 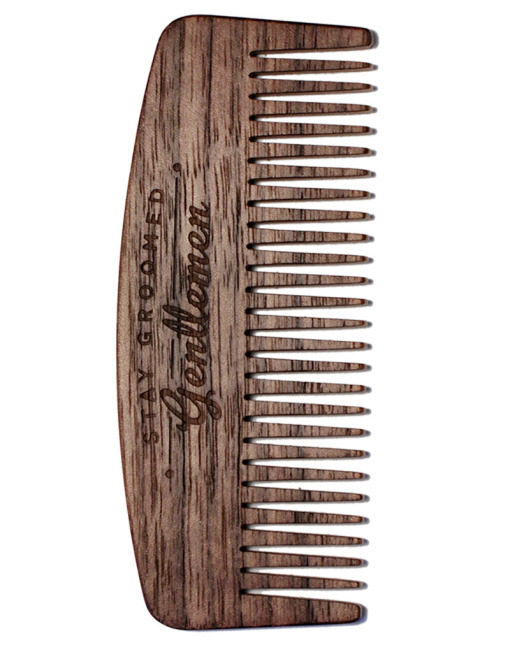 The No.9 is crafted with a laminated technology, which ensures that your comb is made as tough as possible. 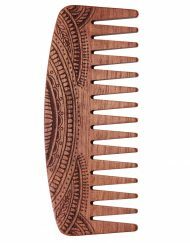 The comb is made from a total of five layers, with the two inner layers, running perpendicular to the face layers to add rigidity and strength to the teeth and body of the comb. 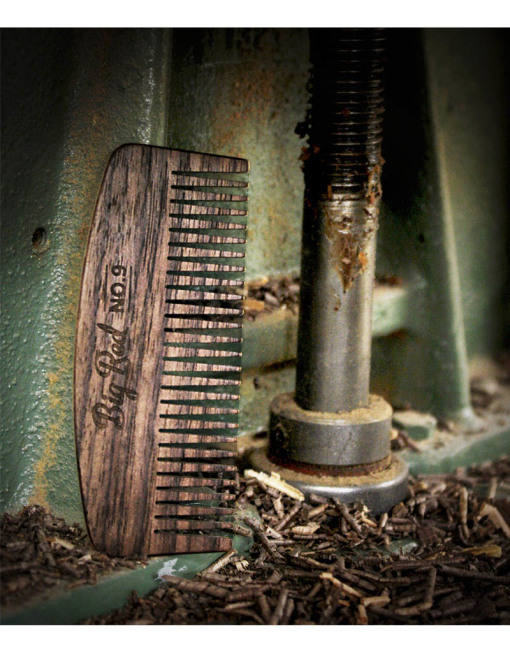 With this process we've drastically increased the strength to ensure your comb will be around for quite some time. 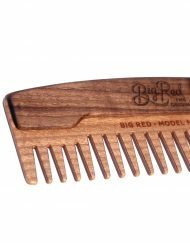 We originally designed Big Red Beard Combs to take with you on the go. 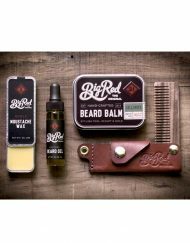 They are small enough to be carried around with you throughout the day to groom your beard anytime, anywhere. 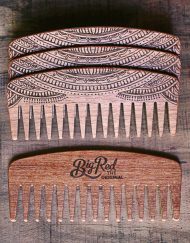 We like to think of them as travel beard combs. 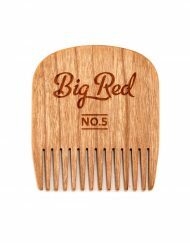 Please review the dimensions below to see the true size of the comb. 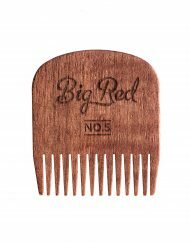 Sold and shipped in our distinctive ‘Big Red’ packaging, you’ll be impressed and relieved to find you now have a protective case for your new Big Red Beard Comb. 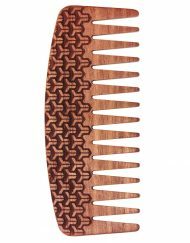 We care about our combs and want to ensure they see many years of use, and that is why we’ve gone through the trouble of supplying cool, yet very functional packaging. 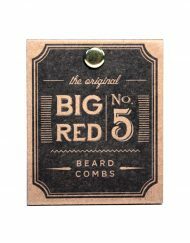 Each comb is fit within it’s own protective hard case and wrapped in a resealable craft paper cover. Simply remove and replace the metal rivets to open and close your package. 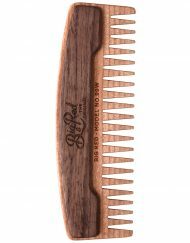 Everything is well thought out, beautiful, and 100% recyclable, including the comb itself! 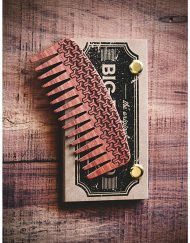 Great comb, so great that they should offer the fine tooth first :-). Well atleast it is here out now. I bought this comb for my boyfriend after he asked me to prom saying “I can’t wait to combine our good looks at prom!”. He loved it! But I didn’t realize how thin of wood it was so he only uses it at home because he’s too afraid to leave the house with it in fear of breaking it. 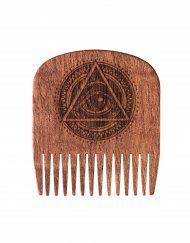 Over all it is a great comb! 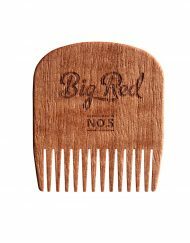 Very nice comb. Wish I had ordered one sooner. Glad to buy from a small business from my friends up North. 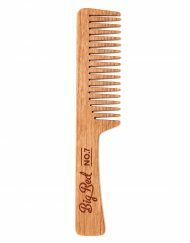 Fantastic comb I use it everyday. Very well made. 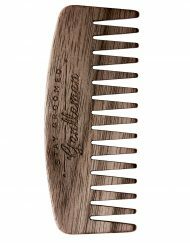 I purchased this comb for my husband. I am very happy with it but i was expecting it to be a bit bigger. it is quite tiny but it seems very well made. I am very happy with my purchase. 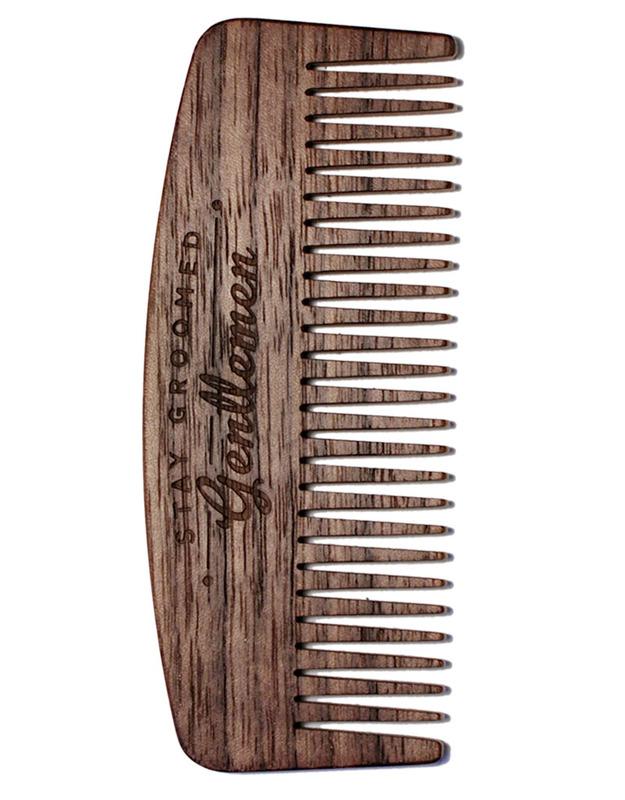 Great comb. Wish I had discovered this company years ago. Looks and feels great. Combs and helps train bear hair in the direction you wish. 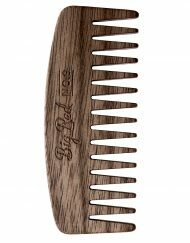 Highly recommend this comb and will buy more in the future so I can keep one in the truck, car etc. 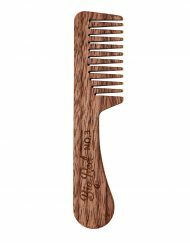 Love the no.9 comb. Nicely made and has that great walnut scent. Perfect size and tooth pattern for my medium length beard. Glad I bought one. Awesome comb! Love using it. Looks fabulous, feels great in my hand. Highly recommend this comb over using that cheap old back-pocket plastic comb. Get it! This is the second product purchased for my boyfriend. 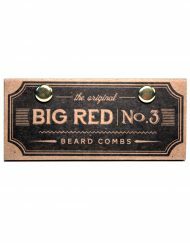 He’ll only use Big Red combs for his beard. Previously had the wide tooth, but he’s loving the fine tooth! Great product, love to use it! Perfect size to carry with you daily. I really enjoy the combs and the way it feels. 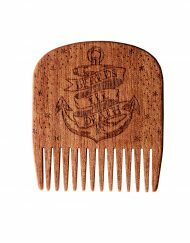 I just wish there could be a way that I could get mine personally engraved with a logo or a slogan of my choosing but other than that the wooden comb is great and I am glad that I picked this comb to make me stand out.